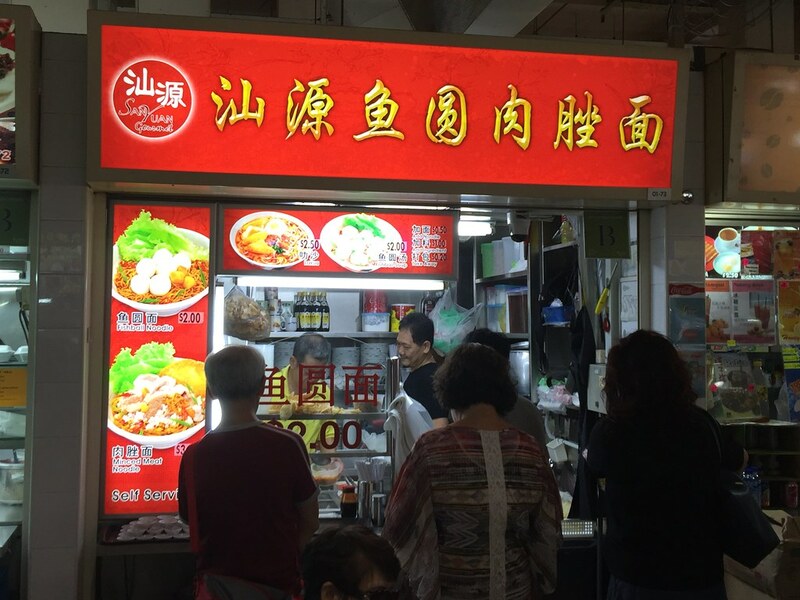 It is not hard to notice San Yuan Fishball Meatball Noodles at Albert Centre Food Centre with its bright red colour sign board which stands out among the stalls in the hawker centre. 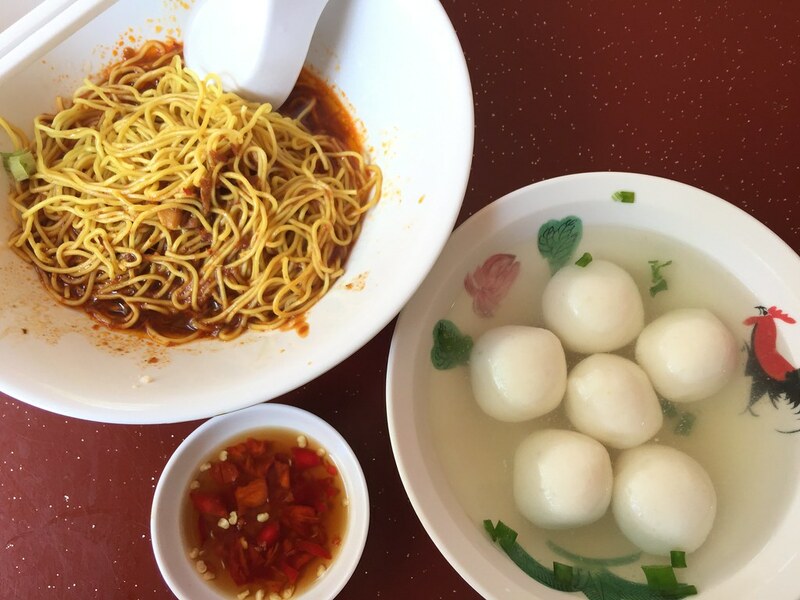 San Yuan has several outlets around the island selling fishball noodle, minced meat noodle and laksa. A bowl of Fishball Noodle at San Yuan costs only $2. In this era, such pricing is almost non existence. 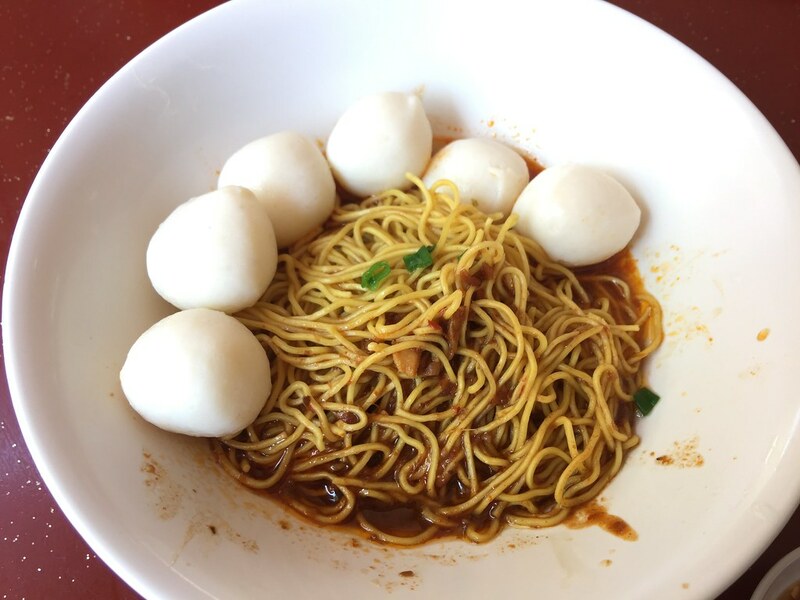 The bowl of noodle comes with six bouncy and springy fish ball. Although not huge but it was enjoyable. While its only $2, it did not compromise in taste. The noodle was also cooked to an enjoyable al dente bite. The other reason why I think San Yuan has its own fan base is not just because of its pricing but the chilli sauce too. The sauce carries a savoury and robust flavour that complemented the noodles excellently.